#1 Try to be Mindful About Your Day-to-Day Activities: Think about activities that you do each and every day. Now, think about how you can bring mindfulness to these activities. Take time to slow down and just be aware when you are eating breakfast or getting ready for work in the morning. 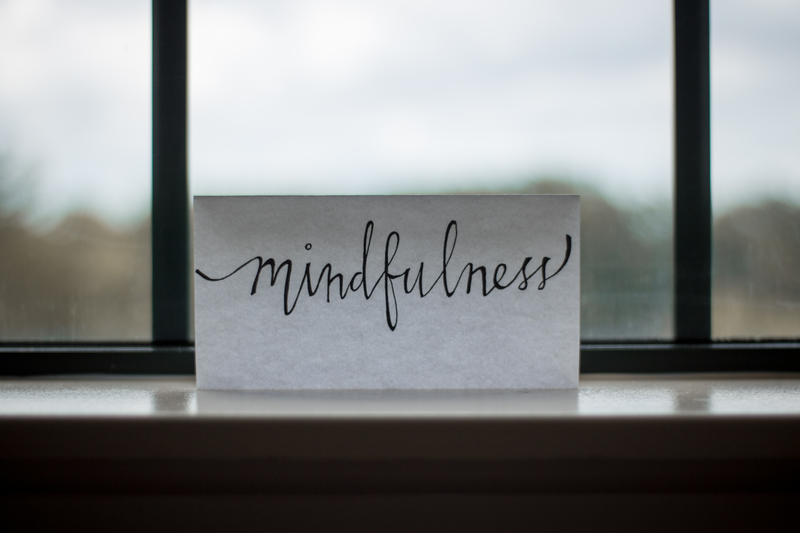 Practicing mindfulness and bringing awareness during your mundane daily activities is great practice for bringing more mindfulness into other areas of your life. #2 Practice While Waiting Around: If you find yourself sitting around doing nothing at some point during your day, practice mindfulness. Maybe you are waiting in line at the grocery store, or waiting at a doctor’s appointment. Bring your attention to your breath, while letting everything else go. This is a great time to be mindful and will also help reduce the stress of sitting around waiting. It will help to reduce feelings of impatience, and you also get to practice being mindful at the same time. #3 Meditate for Five Minutes Per Day: Meditating daily is an excellent way to teach ourselves to slow down and breathe. Mindfulness and meditation are not things that just come easy. It takes time to learn, and meditation can help you be more mindful in other areas of your life. Strive to meditate for just five minutes each day. You would be surprised at how much better you feel afterward! #4 Bring Mindfulness to Your Meals: So many of us are programmed to rush through a meal so we can get on with our day and move onto the next activity. However, mealtime is a great time to be mindful. Think about how your food tastes and slow down and take the time to chew and enjoy your food. Not only will you feel better after you eat, but your digestive system will thank you too! Mindfulness takes some time to get used to. It’s not something we learn overnight, but practicing it daily is the perfect step in learning to live a calmer and more centered life. Mindfulness can be an excellent tool to help you reduce stress and take control of your everyday life. If you are looking for ways to reduce stress and live a calmer more productive lifestyle, you may also want to consider supplementing with an adaptogenic blend. Yinergy and Vigor can help support the adrenals, boost mental focus, reduce stress, and help support your body as you bring more mindfulness into your daily life. With a little mindfulness practice and a boost from our adaptogenic herbal blends, you may be well on your way to living a calmer life.